Exploring textiles as sculpture. Looking to examine the role that textile plays in temporary spaces as well as for those displaced throughout the world. Textiles serve many functions both practical and aesthetic. Inspired by travels throughout North Africa, West Africa, as well as Mexico. 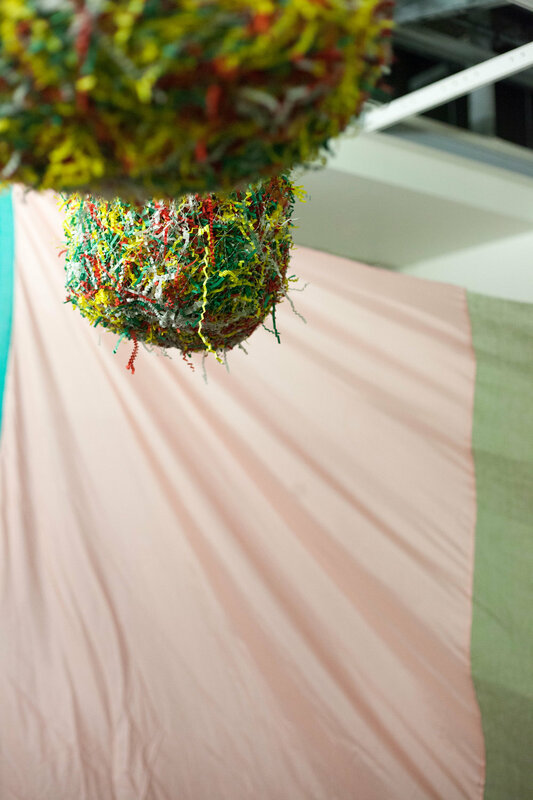 Exploring textiles as sculpture, artist Mengly Hernandez examines the role that Textile plays in temporary spaces as well as those displaced throughout the world. Textiles serve many functions, both practical and aesthetic. 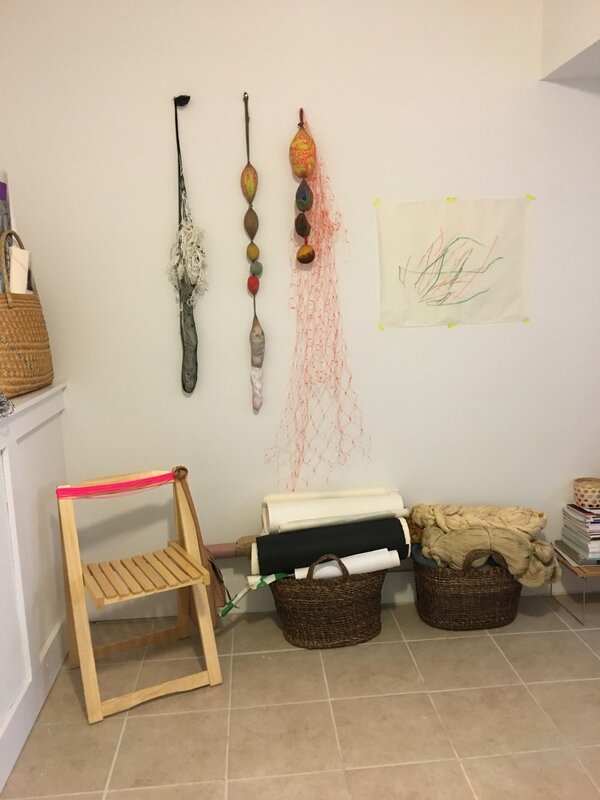 Connecting with community holds a place of importance with Hernandez and her work. “Cherry Block”, plastic net, fragrance block.